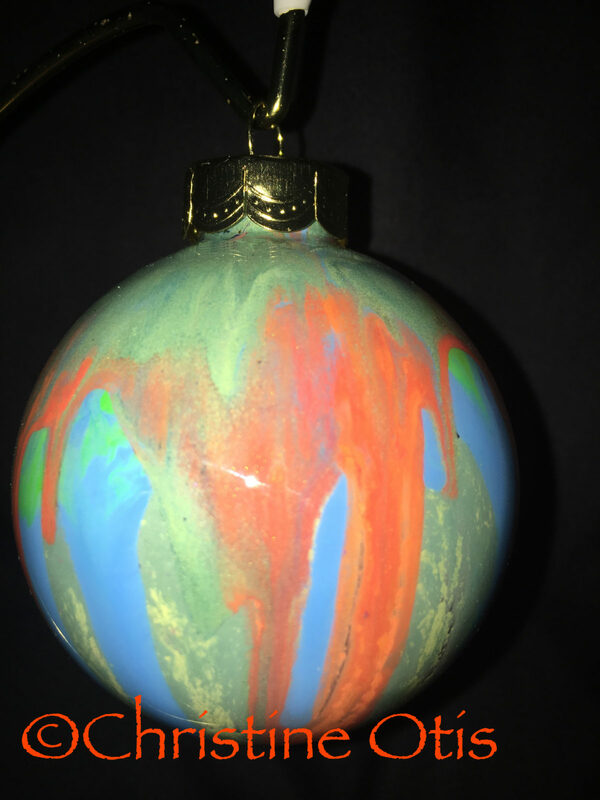 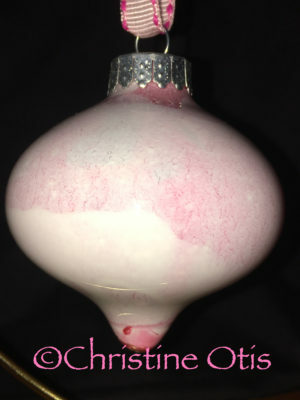 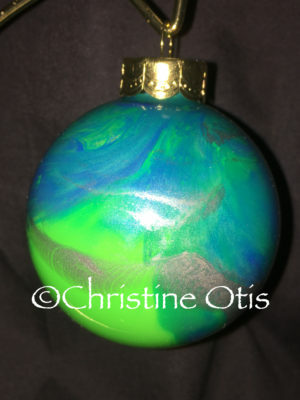 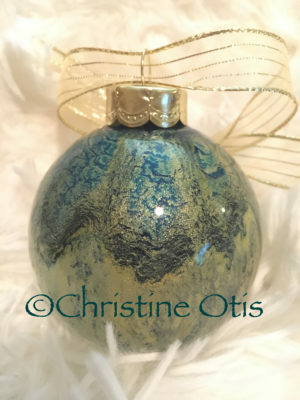 This is a medium #2 round one-of-a-kind ornament, which is approximately 3 inches in diameter. 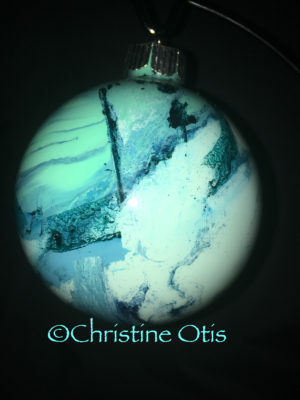 It is painted on the glass interior and takes weeks to months to create through a layering process. 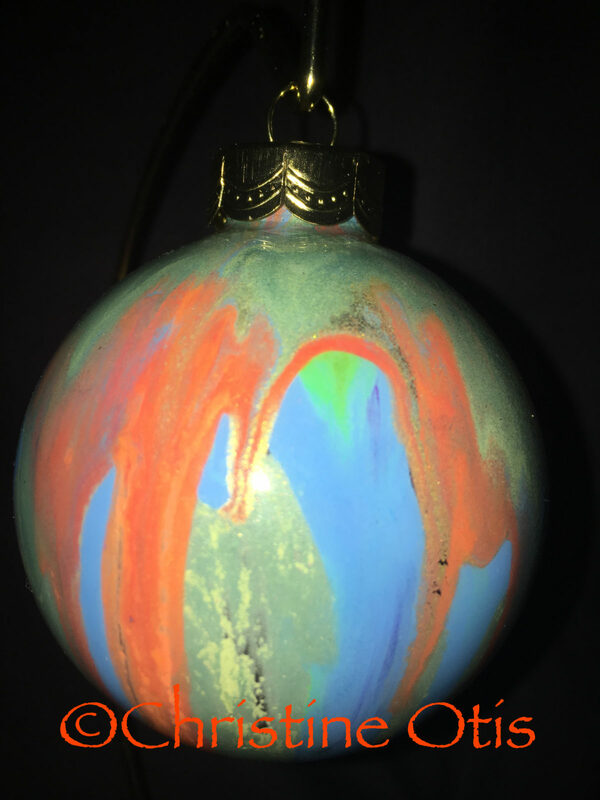 The process is dependent upon the shape of the ornament, the colors, designs and drying time of the paints used in the creation.